Branson, Mo. – Low-fare carrier, Frontier Airlines announced the addition of new low-fare, non-stop flights from Branson Airport (BKG) to Dallas-Fort Worth International Airport (DFW) and Chicago O’Hare International Airport (ORD). 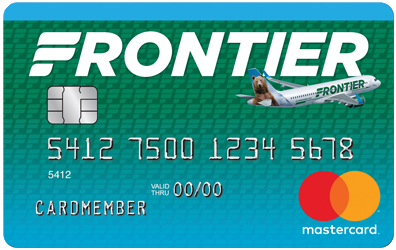 Service starts May 1st and to celebrate these flights, Frontier is offering a special introductory one-way fare of $29 which is available now on flyfrontier.com. Frontier offers the only service on both of these new routes. Fares must be purchased by 11:59 pm Eastern time on Jan. 17, 2019 for nonstop travel. Travel is valid Wednesdays and Saturdays dependent on days of operation through June 13, 2019. The following blackout date applies May 28, 2019. Fares are one way and do not require roundtrip purchase. Tickets purchased at FlyFrontier.com must be paid for at the time the reservation is made, you may request a full refund up to 24 hours after the time of purchase if the purchase is made 7 days (168 hours) or more prior to your flight's departure. After the 24 hour period, for non-refundable tickets, a fee of up to $119 per passenger will be charged. The value of the cancelled ticket may be applied toward the purchase of a future ticket for 90 days after cancellation. The ticket may be canceled and refunded at the My Trips section on FlyFrontier.com.